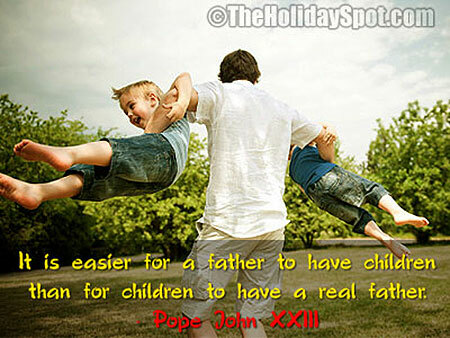 Fathers are the most wonderful thing that can ever happen to a child. He is the person who is supposedly the anchor to the child’s life so that the child gets to lead rest of the life, gracefully. So here’s an opportunity for you to thank Dad in every possible ways, for everything he did for you and for everything he has planned out for your better future. 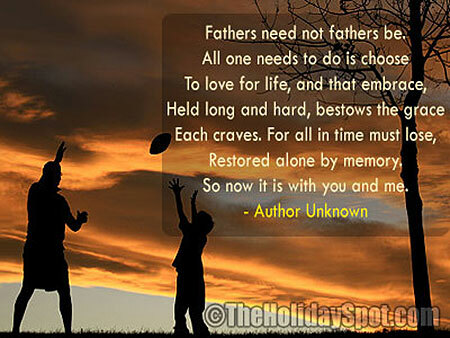 You can rightfully use these heartfelt quotations compiled for your Dad and show him how much you care and love him. So do not let go this opportunity for this opportunity might come once in your lifetime. 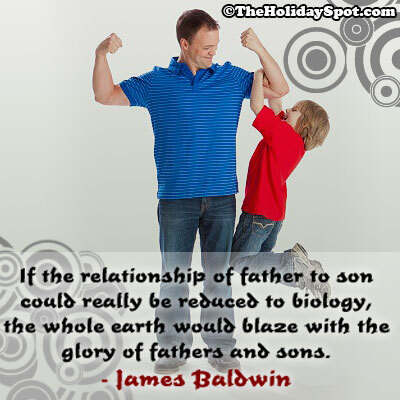 So gracefully utilise this opportunity and praise your Dad using these beautiful heartfelt quotations. “When Charles first saw our child Mary, he said all the proper things for a new father. He looked upon the poor little red thing and blurted, "She's more beautiful than the Brooklyn Bridge." “I'm so ugly - My father carries around a picture of the kid who came with his wallet"
“When I was a kid, I said to my father one afternoon, ‘Daddy, will you take me to the zoo?’ He answered, ‘If the zoo wants you, let them come and get you." A special generosity and always affection, too. "The righteous man walks in his integrity; His children are blessed after him." "You know, fathers just have a way of putting everything together." "Life was a lot simpler when what we honored was father and mother rather than all major credit" cards. "The father is always a Republican toward his son, and his mother's always a Democrat." "When I was a kid, my father told me every day, 'You're the most wonderful boy in the world, and you can do anything you want to." “If a son is uneducated, his dad is to blame." You know, fathers just have a way of putting everything together.